Less than one month after instituting a new policy designed to punish artists for misconduct in their personal life, Spotify is partially walking back its “hateful content” rules that resulted in several artists being removed from the streaming service’s promoted playlists. R. Kelly will continue to be banned. Bloomberg reported that pushback from artists and employees within Spotify has prompted the company to restore songs by controversial rapper XXXTentacion, who was charged with aggravated battery of a pregnant woman, to Spotify’s curated playlists. Kendrick Lamar, who has long been a supporter of XXXTentacion’s music, was reportedly one of the artists who pushed back against Spotify following the company’s announcement of its hateful content policy. Lamar threatened to pull his music from the streaming platform in response to the policy, which also notably banned R. Kelly from playlists. Spotify first implemented its hastily developed hateful content policy on May 10 as an attempt to draw a line for the types of artists the streaming service would promote. The company targeted music that promoted hate and violence as well as content created by artists who have “demonstrated hateful conduct personally.” While the company hasn’t removed artists in violation of its new policy from the platfrom—their music is still available, as is merchandise from the artists—it did remove them from promoted positions on the platform, including in playlists made by the company. The policy is so broad as to be nearly impossible to enforce in an even-handed manner. Spotify has been prompted by advocacy groups to remove a number of other artists from its playlists over accusations of abuse, including Chris Brown, Eminem, and the Red Hot Chili Peppers. According to Bloomberg, label executives have privately asked why the targets of the policy thus far have been black artists while white men with histories of violence have gone unpunished. Spotify’s well-meaning but poorly executed policy has reportedly had mixed results. The Associated Press reported R. Kelly’s streaming numbers have basically been unaffected by his removal from playlists (he may have even received a bit of a boost). Meanwhile, XXXTentacion saw his streams decrease by 17 percent, which could cost him as much as $60,000 per year, according to The Fader. While Spotify is giving to industry support for XXXTentacion, the company is not caving on R. Kelly. He will remain banned from promoted positions on the streaming service, including playlists. There doesn’t appear to be many detractors to that decision, though. Lucas Shaw of Bloomberg tweeted R. Kelly is “viewed as irredeemable (not just by Spotify, but by many in the music industry).” Given that he just got sued for sexual assault again earlier this week, that view sure seems correct. 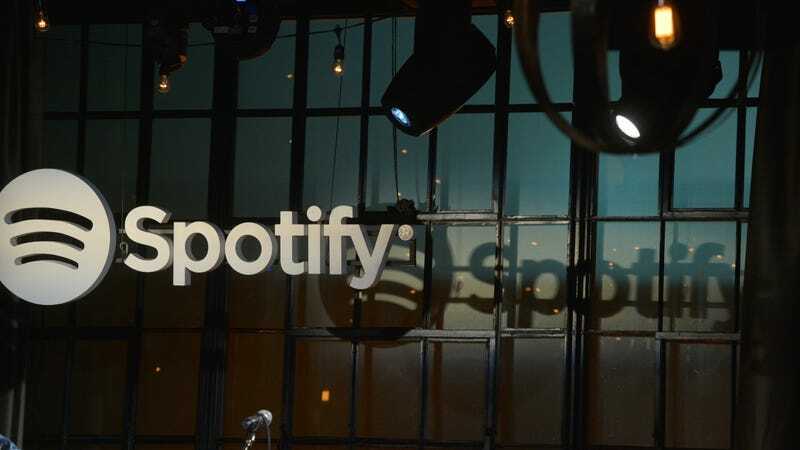 Gizmodo reached out to Spotify for comment regarding recent changes to its policy. We will update this post if we hear back.